The project also aims to develop a soil test-based decision support tool for assessing the risk of environmental phosphorus loss from agricultural lands. Another PAR grant project looks to stem economic losses from reduced animal gain and reproductive performance in endophyte-infected tall fescue forage systems. The fungus costs the U.S. beef industry more than $1 billion per year. Value-added building blocks from locally abandoned biomass for advanced food packaging materials: Maria Soledad-Peresin, School of Forestry and Wildlife Sciences, $49,762. 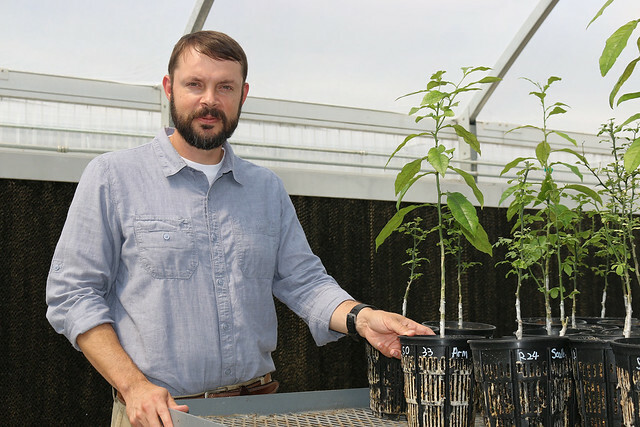 Jay Spiers, Auburn University Department of Horticulture associate professor, is leading a research project that will test the efficacy of several different trunk protection strategies for winter freeze protection of kiwifruit and citrus crops.